Muretičevo selo (pronounced Maretičevo selo) is at the eastern edge of Gornje Zilje. It is likely named for its founders, three families with surname Muretič. The Tax Register of 1674 records Thome, Ivan and Jure Muretič living in Zilje and holding a total of 2 Hübe. 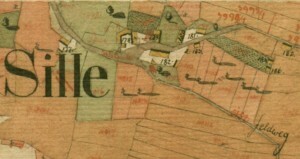 The 1690 register has no mention of any landholders with this surname, although Church Records do indicate there were still individuals with the Muretič surname living in Zilje at the end of the 18th century, most notably a 1774 marriage between a Matija Vranešič from Podklanec and Helena Muretič from Zilje. It is possible this marriage saw the end of the Muretič surname in Zilje, and a change of household surname to Vranešič. The surname Horvat is also documented in the tax registers. Church Records as old as 1749 do record individuals with this surname in Zilje, most notably in marriages of Horvat women with Žalec and Moravec men. Žalci, Brdari and Moravci families of the 1800s in Zilje descend from these marriages. There is no mention of the surnames Žalec or Moravec in either of the tax registers, and if they did indeed marry into the Horvat families of Zilje, it is unclear where they came from. At this time, based on other findings, many Moravec families are primarily found in Vinica Parish. 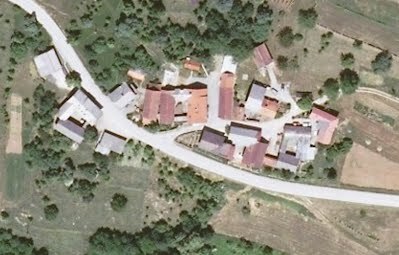 Many Žalec families lived and still live in the Sinji Vrh Parish.